EDITOR’S NOTE: The following is an excerpt from Jack Graham's Are You Fit for Life? (Crossway Books). You may remember a time when our nation’s obsession with fitness was considered a craze, just a fad. The media even used the term fitness craze to describe what was then a new trend in terms of people’s awareness about the importance of being fit and their determinations to eat a healthy diet and exercise regularly. Well, I think you’ll agree with me that America’s obsession with fitness is more than a passing fad. In fact, it has gone from a passing fad to passing legislation, as New York City did with its new law to ban the serving of trans fats in its restaurants. We also have evidence of the seriousness of this commitment to fitness. As I write this, the cancer center at one of Dallas’s largest hospitals is setting up a workout center in what used to be just a reading room full of literature on cancer and the various treatments available. A cancer patient who noticed all of the expensive new workout equipment—which included treadmills, step climbers, stationary bikes, and a scale—asked her physician what was happening. The physician explained that the doctors had donated their own money to purchase the equipment and were going to offer free exercise and diet classes to help their patients get into shape. That’s a great thing, because for cancer patients being fit is not only a good option to being out of shape or overweight—it can help them fight and survive their disease. The truth is that being fit for life is a serious matter for all of us. And the good news is that the Bible has a life-changing message for us on this issue, because no one is more concerned about our physical, mental, emotional, and spiritual fitness than the God who made us and redeemed us. He even gave us a “fitness manual” in His Word—the apostle Paul’s letter to his beloved friends at the church he founded in Philippi. My purpose in this book is to help you understand and apply the truths of the book of Philippians in a way that will truly help you be fit for life. Most of us aren’t accustomed to thinking of Paul as a fitness guru. But he was, at least according to the definition of fitness I gave you above. For instance, it was Paul who taught us that our bodies are the temple of the Holy Spirit (1 Corinthians 6:19) and therefore not to be defiled. And Paul took his own advice as a man who disciplined his physical appetites so he wouldn’t fall into sin and be disqualified from receiving God’s prize (1 Corinthians 9:24–27). Paul also understood the importance of good emotional fitness, thanking the “God of all comfort” (2 Corinthians 1:3) for the way He comforted and sustained him in all of his trials. Paul is often characterized as a hard-driving, Type A personality who didn’t let anything bother him. But as we’ll see, he was a very tenderhearted man who loved his fellow Christians like a father. In fact, the book of Philippians is something of a spiritual valentine, if you will, in which Paul expressed his deep love and affection for believers serving Christ in a very important region of the world. Paul was also intellectually fit. He was a scholar of the first rank, and his exhortation to Timothy has become the goal of every sincere servant of God: “Study to show thyself approved unto God, a workman that needeth not to be ashamed, rightly dividing the word of truth” (2 Timothy 2:15, KJV). To the great apostle, the Christian faith was a body of teaching to be studied, diligently absorbed into the mind, and taught with faithfulness and accuracy. Paul’s entire ministry of proclaiming the gospel of Jesus Christ serves as evidence for his concern for spiritual fitness. The physical circumstances under which Paul wrote to the Philippians are worth mentioning because he was in a place that was nothing but harmful to his health. He wrote this letter from a Roman prison—a filthy dungeon with zero physical comforts. He was in a damp, dark, cold cell and was probably chained to the wall as well. But even though Paul was, many Bible scholars believe, a rather small, slightly built, middle-aged man with physical problems, he was far more fit for life than the physically fit Roman soldiers who guarded him. So he has much to say about being fit for life. If we are going to be at our best, we need to get into the best physical, emotional, mental, and spiritual shape possible. The place to begin is with our relationships—with Jesus Christ first of all and then with family and friends and the fellowship of God’s church. Paul knew what matters most. So he began his letter to the Philippians by identifying both himself and his readers in terms of their relationship with Christ: “Paul and Timothy, servants of Christ Jesus, to all the saints in Christ Jesus who are at Philippi” (1:1–2). Paul identifies himself as a “servant,” or slave, of Christ. The apostle was so totally sold out to Jesus that he could say, “for to me to live is Christ, and to die is gain” (Philippians 1:21). This is a critical point for all believers. Everything in life begins here. Jesus is our very life, and we are to serve Him because He has captured our hearts. To become a child of God, you do have to become a saint. Most people have been conditioned to think that a saint is someone who has achieved a lofty spiritual status or has been canonized for doing good works or even performing miracles. But that’s not how the Bible uses this word. A saint is simply a true believer, a person who has been born into the family of God through faith in Jesus Christ. Therefore saints aren’t made, they’re born from above in the new birth. That’s why we can say when it comes to your relationship with Christ, you’re either a saint or you ain’t. The word saint means “a set apart one,” a person who has been chosen by God and called for His purposes. This applies to every believer. So instead of being something mystical or super-spiritual, saint is a very basic description of our life in Christ. God has set us aside for an eternal purpose, which means we can live with passion. What matters most of all, then, is whether you have trusted Christ and His finished work on the cross for your salvation or whether you are trying to please God by being a good person. If it’s the latter, I urge you to put this book down right now and trust Christ alone to forgive your sins and come into your life and give you eternal life—and He will! Trying to be fit for life without knowing Jesus as your Savior is like trying to work out while wearing shoes and gym clothes that are about three sizes too small. Life will never work out without Jesus. These Christians were on Paul’s mind and in his heart. He understood the importance of the love relationship we are to have with one another in the church, the body of Christ. When you belong to Christ, you also belong to everyone else who belongs to Christ. The contestants on American Idol are trying to go it alone, and a few make it. But while performing solo may be okay for a musical career, it’s no way to live. The work of Jesus Christ advances on a network of relationships among believers who are partners in life. It is because of our fellowship in Christ that we are able to advance the gospel to the world. Without a doubt, the people who make the greatest difference for Christ are the people who know how to love Him and other people with all their hearts. Paul basically told his friends at Philippi, “I thank God every time I think about you” (1:3). I wonder what our fellow believers say when they think about us. Do they thank God for us because of our love and commitment? Do you seek healthy relationships by loving and serving others more than yourself? That’s a pretty convicting question, and someone might respond, “You don’t know the kind of people I have to put up with in my life. They aren’t all nice, lovable people like the saints at Philippi probably were.” I know people can be difficult, and even our friends at church can be exasperating at times. The church of Jesus Christ is a real blend of people from all strata and seasons of life. But it’s always been that way. Consider the people at Philippi. Acts 16:11–40 is the story of Paul’s first visit to this Roman province in Macedonia and the founding of the church there. The first conversion in Philippi was that of Lydia, a wealthy businesswoman who became a follower of Jesus along with her household (vv. 13–15). Another new believer was a demonized slave girl who was being used by her masters to bring in a profit by fortune-telling (vv. 16–19). Then a hardened Roman jailer was miraculously transformed by God’s grace, and he and his entire family believed and were baptized (vv. 31–34). This sampling of the church represents a broad cross section of people who have one thing in common—their relationship with Jesus Christ. These very different men, women, and children were now in the spiritual family of Jesus Christ. This is the church, God’s family together in Christ. Note the emphasis on the local church in this passage. The New Testament teaches the universal brotherhood of believers, the worldwide family of God. But sometimes it’s easier to love your brothers and sisters on the other side of the world, whom you’ve never met, than it is to love those on the other side of the church aisle whom you meet every week. While we are part of the church global, we are to experience the church local. My point is that the Bible doesn’t let us hide behind the idea of, “Oh yes, I love the body of Christ around the world” while we’re not relating properly to the people in our own community of faith. At least 90 percent of the time the New Testament uses the term church in reference to a specific local body of believers. Paul didn’t just write to the church at large, but to the churches in Philippi, Ephesus, Corinth, Galatia, and so on. The two things emphasized in Philippians 1:2–8 were the love and affection of God’s people for one another and their witness of the gospel. When it comes right down to it, love is what matters most because Jesus said that “the great and first commandment” is to “love the Lord your God with all your heart and with all your soul and with all your mind.” Then He gave the second most important commandment: “love your neighbor as yourself” (Matthew 22:37–39). Jesus concluded this teaching by saying in verse 40, “On these two commandments depend all the Law and the Prophets.” This is what matters most. Jesus was summarizing the heart of the Ten Commandments (Exodus 20:1–17) and all of the Old Testament Law. The first four of the Ten Commandments have to do with our love for God, and the next six have to do with our love for and relationships with others. Loving God and one another in Christ is the essence of faith. That same love extends to the world as we care about people who need Jesus in their lives. We need to understand that true ministry flows from sacrificial love. The love of Christ had changed Paul’s life so dramatically that he gladly called himself a servant, or slave, of Christ (Philippians 1:1). It was out of the overflow of Paul’s love for Christ that he poured out his life in service to Christ and to others, and he did it with intense devotion. Paul also learned how to receive the love and ministry of others in the family of faith, and he rejoiced in it. Unlike your biological family, you can choose your church family—but it will have the same strengths and flaws as your own family. So if you’re unhappy with your church because it’s full of imperfect people and you think you can get a better deal down the road, you may find yourself very disappointed. I don’t know what your church is like, but I do know that God has placed you there for a reason. And unless and until He moves you on, that’s where God wants you to serve in the fellowship of Christ’s body. If you want to get fit, every part of the body has to cooperate. I spent some extra time discussing our spiritual relationships because they are so important to the fitness for life that this book examines. That’s not the way to do it! Men are notorious for not showing and sharing their love and for having an “I want to be served” attitude. But even Jesus did not come to be served but to serve (Mark 10:45), and that’s the attitude we are to express in our families. One problem in family relationships that also occurs in our church relationships is unrealistic expectations. Have you heard about Husband-Mart? In this fictional store a woman can choose her ideal husband from many options. The store has six floors, and the men increase in positive attributes as the shopper ascends each flight. But there is a catch, because once a shopper decides to leave a floor and go up to the next one, she can’t go back down except to exit the building. So up the elevator she goes to the second floor, where the sign reads, “These men have jobs and love kids.” The woman likes this because she wants to have a family. But she also figures that if it’s this good already, it can only get better. Sure enough, the third-floor sign says, “These men have jobs, love kids, and are extremely good-looking.” Now the woman is really getting excited, but she figures it will only keep getting better. The Husband-Mart, or the Wife- or Child-Mart for that matter, would be a good joke if it weren’t so true. Developing healthy relationships in your family is much like developing a healthy body through exercise. You have to start where you are, set realistic goals for progress, and then work faithfully with what you’ve got to get from where you are to where you want to be. Start expecting the best from the people you love, and watch your relationships develop. I use the term marketplace to describe our relationships in business and public life because it has a wider connotation than business alone. You don’t have to have a job or own a business to relate to people in the marketplace. The apostle Paul was also conscious of the importance of these relationships as he instructed believers how to be fit for life. He wrote to the Philippians, “Let your manner of life be worthy of the gospel of Christ” (1:27). Success or failure on the job is essentially a matter of relationships, and the deadly sin in our relationship with people is that we take them for granted. We do not make an active or continuous effort to do and say things that will make them like us and believe us, and that will create in them the desire to work with us in the attainment of our desires and purposes. In business, good relationships make all the difference. Whether you work in a company, operate a business of your own, or simply relate to people each day in carrying out your personal or family business, it matters to God how you conduct yourself and the witness you leave. We call these people skills because relating well to others is a skill we should learn if we really want to get fit for life. When we get to the end of our lives, it’s not our diplomas, trophies, or stock portfolio that will comfort us. We will want our family and friends—people to be with us—because what matters most in life and death are the people we love and who love us. Here are several ways you can cultivate and nurture your relationships so that your life will be full and fulfilling. The place to begin nurturing your relationships is with Jesus. You can live with confidence, knowing that your relationship with Christ is secure forever. “He who began a good work in you will bring it to completion at the day of Jesus Christ” (Philippians 1:6). That’s an eternal promise you can trust every day. When Christ comes for you, be prepared for that moment and for your life with Him in heaven. How is this possible? Not because of what we have done, but because of what Christ is doing in us. God always finishes what He starts, and because God has started the good work of salvation in you, He will bring it to completion. This should give you real hope as you seek to grow in your relationship to Christ through His Word, prayer, worship, service, witnessing, and the other disciplines of the Christian life. Do we fail and feel like giving up sometimes? Of course we do. But the promise of God’s Word is that He will never give up on us. Now understand that it takes patience to grow in Christ. I love the commercial of an overweight man who goes to the gym to get in shape. He gets on the scales to check his weight, gets off and runs around the room for a few seconds, then steps back on the scales and sighs when he sees that he hasn’t lost any weight. If you get nothing else from this book, I pray you will make the discovery that the Christian life is not a self-improvement or do-it-yourself project, but a matter of allowing Christ to take control of your life. The real joy is growing in Christ and communing with Him in a growing relationship of love and intimacy. That’s what God desires for you. Paul prayed that the love of the Philippians would “abound more and more” (1:9). Love that abounds is love that overflows to others. The difference between the love taught in the Bible and the kind the world talks about is that the love of Christ is a choice of the will, not simply a warm, fuzzy feeling we can’t control. You don’t fall in love accidentally. You grow in love toward God and toward others as a decision of your will. Another way to grow in your relationships is to guard your mind. For instance, even as we show love freely to others, it is not to be foolishly or blindly given. After Paul prayed that the Philippians might have abounding love, he added, “with knowledge and all discernment” (1:9). Our love for Christ includes loving the truth. Love that is out of control does not become a flowing river of blessing but a stagnant swamp. The two banks between which the river of our love must flow are knowledge and discernment. The world sings songs that ask, “How can it be wrong when it feels so right?” But the answer of God’s Word is that love or anything else can be wrong if it goes outside the boundaries of God’s will and God’s Word. As we relate to God and to others in love, we need to make sure that our love is according to the truth. When you give your heart, that doesn’t mean you lose your head. Nor do we ever compromise God’s Word in the name of love. Paul ended the first section of Philippians 1 with these words: “So that you may approve what is excellent, and so be pure and blameless for the day of Christ, filled with the fruit of righteousness that comes through Jesus Christ, to the glory and praise of God” (vv. 10–11). There’s a lot of conversation today about improving people’s relationships. We get all kinds of advice. We certainly should seek godly counsel when it is needed, but to be truly fit for life, we must begin by putting first things first, living for what matters most. The purpose of the Christian life is to become more and more like Jesus Christ. When we are relating properly to Him and growing in His love, then our other relationships in life will become strong and healthy. 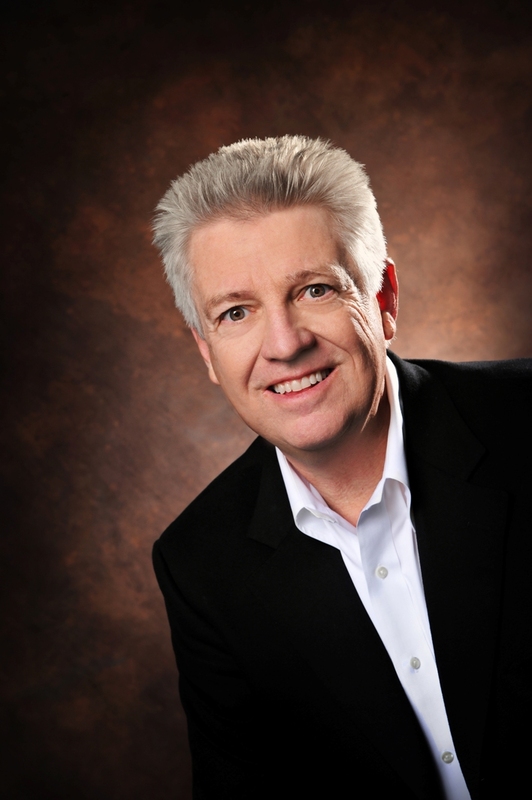 Jack Graham is pastor of Prestonwood Baptist Church, one of America’s largest congregations, in Plano, Texas. He also serves on the executive committee of the Southern Baptist Convention, where he has served two consecutive terms as President. His other books include Life According to Jesus and Diamonds in the Dark. Are You Fit for Life? Copyright © 2008 by Jack Graham. Published by Crossway Books, a publishing ministry of Good News Publishers. 1300 Crescent Street Wheaton, Illinois 60187. All rights reserved. No part of this publication may be reproduced, stored in a retrieval system or transmitted in any form by any means, electronic, mechanical, photocopy, recording or otherwise, without the prior permission of the publisher, except as provided for by USA copyright law.